Our offering of spray bottles include a 24 oz. capacity General Purpose Spray Bottle, designed to produce over 40% more output than standard spray heads. The 32 oz. capacity Würth Chemical Resistant Spray Bottle is made with a thick resin, offering greater durability and longevity, as well as compatibility with an even wider range of chemicals. Our 1 liter capacity All Purpose German Spray Pump has a unique pump design and is ideal for most chemicals. 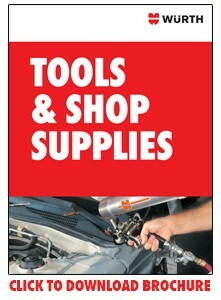 1 liter sizes Rost Off and Brake Cleaner Pump Bottles are also available.